Brokerdealer.com blog update profile broker dealer firm, Raymond James Financial Inc, making big moves in the industry as it announced Friday, that it would acquireing The Producers Choice. This move made Friday will help the broker dealer firm gain greater control over the way annuities are wholesaled to advisers. This brokerdealer.com blog update is courtesy of InvestmentNews’ article, “Raymond James bolsters indexed annuities and life wholesaling with acquisition“, by Darla Mercado. With an excerpt from the article below. 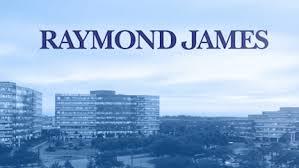 Looking to step up its indexed annuities and life wholesaling game, Raymond James Financial Inc. announced Friday it would acquire The Producers Choice, an insurance marketing organization. The deal is expected to close mid-summer, and Producers Choice will act as part of Raymond James Insurance Group. Sixty Producers Choice employees will join the firm. The acquisition addresses two major objectives for Raymond James, which has partnered with Producers Choice for nine years: It gives the broker-dealer greater control over the way annuities are wholesaled and marketed to Raymond James’ advisers, and the firm will have the opportunity to work with Producers Choice’s client base of independent insurance agents, broker-dealers and banks. To continue reading about Raymond James acquistion of The Producers Choice from InvestmentNews, click here. Brokerdealer.com blog update profiles the broker dealer industry’s support for tougher sanctions for violations of the suitability rule. It is the industry’s hope that these tougher sanctions will elevate the industry. This brokerdealer.com blog update is courtesy of InvestmentNews’ article, “Brokers back regulator’s tough stance on suitability” by Mark Schoeff Jr., with an excerpt below. Brokers endorsed a move by their regulator this week to toughen sanctions for violations of the suitability rule even as they acknowledged the standard leaves room for interpretation. The Financial Industry Regulatory Authority Inc.(FINRA) on Tuesday revised its Sanctions Guidelines, which included raising its suggested suspensions to two years from one for brokers making unsuitable recommendations. 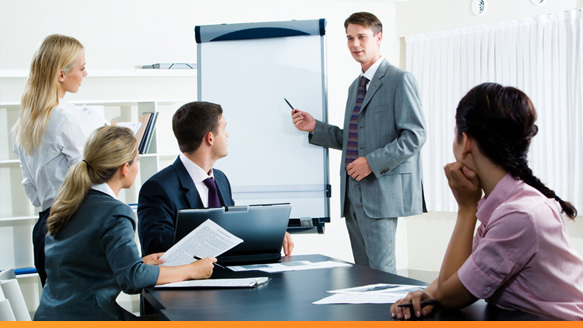 It also strongly advises possible barring of brokers and expulsion of firms for fraudulent activity. Cracking down on suitability violations will help clients, said Jeremy Gottlieb, owner of Gottlieb Wealth Management. In reviewing investments of clients transferring to his firm, he often sees evidence that their portfolios were built on the basis of product sales rather than what is in their best interest. To continue reading about these tougher sanctions that are being backed broker dealers everywhere, click here. Brokerdealer.com blog update profiles Finra hitting LPL Financial, the industry’s largest independent brokerdealer firm, with a huge fine. The firm reportedly failed to properly supervise sales of complex products, such as ETFs, variable annuities and non-traded REITs. In addition to paying a fine to Finra, LPL Financial will also have to pay a substantial amount of restitution to certain customers who purchased non-traditional ETFs, and may pay additional compensation to ETF purchasers following an additional review of its ETF systems and procedures. This update is courtesy of InvestmentNews’ article, “LPL Financial fined $11.7 million for ‘widespread supervisory failures‘”, with an excerpt from the article below. The Financial Industry Regulatory Authority Inc. ordered LPL Financial to pay $11.7 million in fines and restitution for what it deemed “widespread supervisory failures” related to sales of complex products, according to a settlement letter released Wednesday. From 2007 to as recently as April, LPL failed to properly supervise sales of certain investments, including certain exchange-traded funds, variable annuities and nontraded real estate investment trusts, and also failed to properly deliver more than 14 million trade confirmations to customers, according to Finra. LPL, for example, did not have a system in place to monitor the length of time customers held securities in their accounts or to enforce limits on concentrations of those complex products in customer accounts, Finra said. The systems that LPL had in place to review trading activity in customer accounts were plagued by “multiple deficiencies,” Finra said. The firm failed to generate proper anti-money laundering alerts, for instance, and did not deliver trade confirmations in 67,000 customer accounts, according to the settlement letter. To continue reading about the industry’s largest independent broker-dealer firm’s huge fines from Finra, click here. Brokerdealer.com blog profiles Finra CEO’s, Rich Ketchum, decision to stop working on the proposal for a massive data-collection system with concerns over secruity issues. Ketchum is expected to report to Congress tomorrow, Friday, May 1, 2015, to explain why. Since the proposal’s start it has received much resistance by others in the industry due to fear of putting the clients and risk and seems Finra is now starting to agree. This brokerdealer.com blog update is courtesy of InvestmentNews’ Mark Schoeff Jr. and his article, “Finra CEO Rick Ketchum backs off data collection plan“, with an excerpt below. 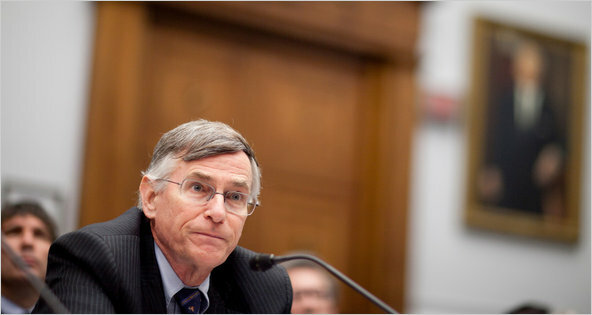 Finra is putting the brakes on its proposal for a massive data-collection system over concerns about the security of customer information, the organization’s chief executive is expected to tell Congress on Friday. The Financial Industry Regulatory Authority Inc. has received strong industry resistance to its so-called Comprehensive Automated Risk Data System over its potential costs and the possibility that it will expose customer data to hackers. The comment period for the proposal ended on Dec. 1 last year. To continue reading about what Ketchum is expected to tell Congress tomorrow, click here. Tagged brokerdealer blog, brokerdealer.com, brokerdealer.com blog, Comprehensive Automated Risk Data System, Congress, FINRA, Finra Ceo, Investment News, investmentnews.com, Rick Ketchum, The Financial Industry Regulatory Authority Inc.